Standard wartime pattern corrugated rubber oxygen tube. Complete with screw-threaded top connector for attaching to a G-type or H-type mask. Fitted with a brass Air Ministry marked MK.IV (6D/526) bayonet connector with cadmium plated crocodile clothing clip. 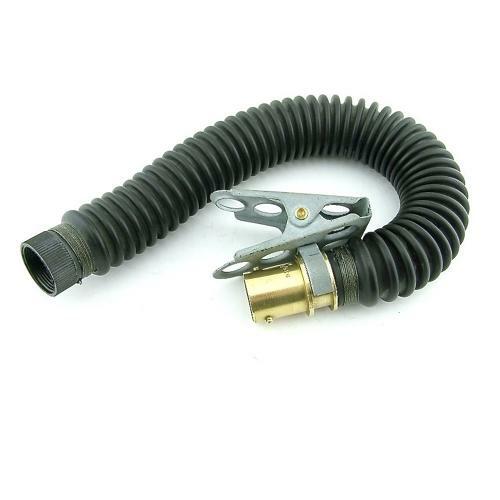 The hose is in excellent used condition retaining full flexibility. 'Twine bound' connectors. Sold by us previously and now 're-stocked'. Stock code O23455.